Malaysia and China beat Laos and Philippines respectively in their AFC U23 Championship Thailand 2020 Qualifiers Group J tie on Sunday to edge closer to the Finals. After two consecutive wins, Malaysia and China will face off on Tuesday to decide the group winners, with the East Asians ahead on goal difference. Muhammad Safawi Rasid was the hero of the night when he scored Malaysia's only goal in their 1-0 win over Laos at the Shah Alam Stadium. The contest between the two Southeast Asian teams was frenetic from the start, with Laos needing a win to stay in contention and Malaysia determined to qualify for the second successive Finals. The local supporters were roaring the young Harimau Malaya on but Laos displayed their grit and pushed Malaysia back. As the clock ticked away, tension was high as the match entered its final 10 minutes. 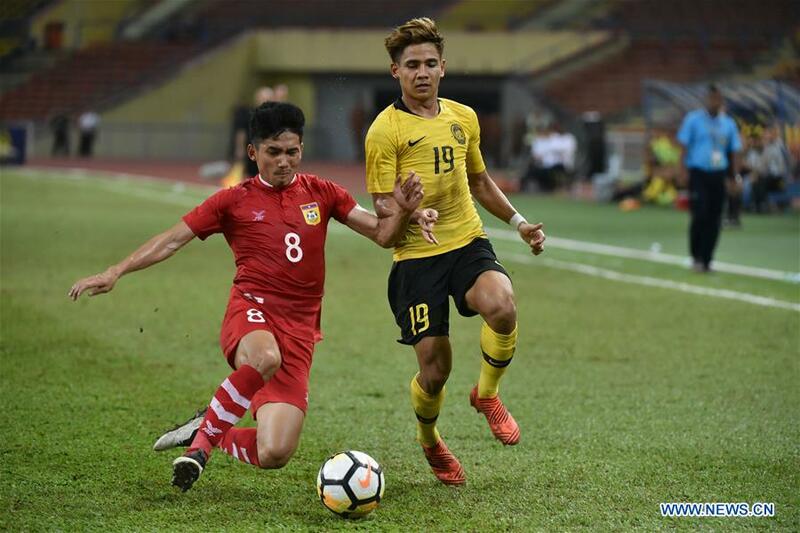 There was, however, only joy for Malaysia as Safawi made his mark in the 81st minute to ensure his team maintained their perfect start after having defeated Philippines 3-0 in their opening match. The young Team Dragon showed their prowess with eight goals from five players to maintain their perfect record. China played a high pressing game from the start and it didn't take long before they opened the scoring in the 10th minute through Shan Huanhuan, before Hu Jinghang and Huang Cong made it 3-0 with goals in the 14th and 19th minutes respectively. Lin Liangming also found the back of the net in the 29th minute, and China extended their lead through Hu in the 42nd minute. The East Asians maintained their aggressive approach and it took them only four second-half minutes to find their sixth goal with Hu Jinghang etching his name on the scoresheet. It got worse for the Philippines as Shan scored his second in the 77th minute before Zhang ended proceedings with a goal in the 90th minute. With their hopes dashed, Philippines will be hoping to end their campaign on a high when they play Laos on Tuesday.